Jane Lufkin is best known for her impressionistic landscape oil paintings made with a vibrant palette and expressive impasto brushstrokes. She finds daily inspiration in the dramatic landscapes of her home in the Sierra Nevada Mountains of Northern California and her travels in the West. Jane was born with an artist’s spirit and talent that was nurtured by her father, a watercolor artist and horticulturist. After completing her Bachelor's Degree in Landscape Architecture she pursued a professional career and became a leading landscape architect in Sonoma County, California. 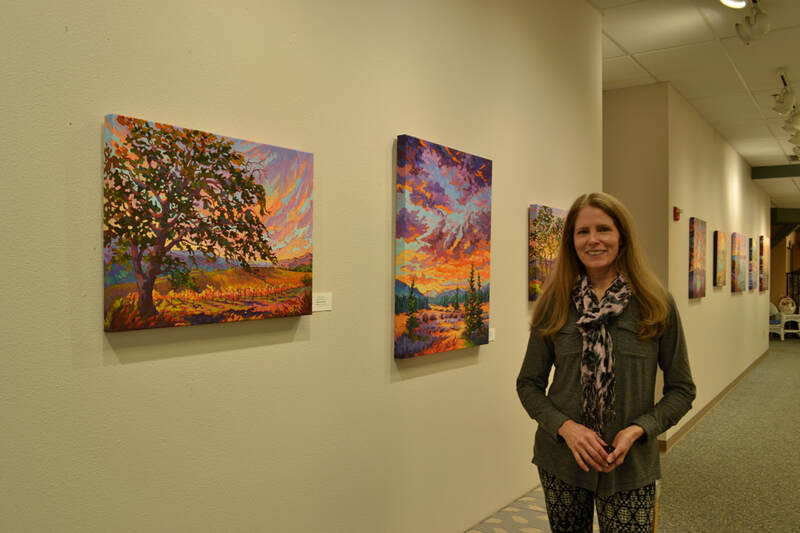 Moving to Truckee in 2006 ignited her passion to paint and explore the local landscape. Often found hiking, running, biking or skiing she is forever on the lookout for creative inspiration for her work. Jane brings landscapes to life in oil on the canvas, capturing the light, movement and beauty of nature. Bringing joy to the world one painting at a time.